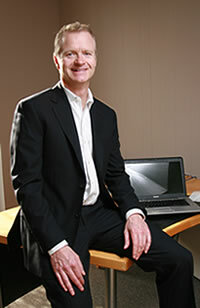 Paul Boston is the Founder of Actus Performance Inc. and the lead performance consultant. Paul’s first exposure to high level performance came at the early age of 12 when he was a competitive cross country skier in Canada, skiing annually in a national level two day stage race event. Paul continued to build on his early years’ high-level sports performance experiences to develop a passion for performance improvement which he carried over into his professional life. Paul has applied these performance actions and mind set skills in several senior management and leadership roles he has held over his career. With a degree in consumer behavior, Paul achieved a foundation for understanding how people think and behave in performance situations. Paul continued with his academic human performance studies, studying adult learning and development, giving him a solid platform to help his clients with their performance challenges. Paul’s performance solutions go beyond his extensive academic background and business experience in the area of performance improvement– they are enriched by his international athletic experience and successes. 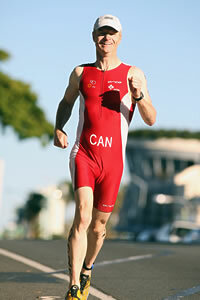 Recently, Paul has been selected for the third time to represent Canada at the World Triathlon Championships. Below is an interview with Paul Boston that will give you a sense of what drives Paul. I started my professional career in the fast paced world of advertising, marketing and sales. During that time, I was responsible for leading very diverse teams that needed to produce exceptional results for our clients, which we did consistently. During this period of my career I started learning the skills, values and attitudes people, teams and organizations require in order to perform at a high-level to produce extraordinary results. I am often asked, can high-level performance be enjoyable? The answer is yes! Performing at ones’ best needs to be enjoyable, otherwise performance levels start to decline and organizational growth and profitability will do the same. This is not to say that people and teams will not have periods of doing the mundane tasks. It is then up to the leaders of these organizations to communicate, position and support their teams through these necessary tasks as they are the steps towards growth and improved performance in which everyone will experience benefits. Staying on track and enjoying the “process” are key ingredients for high-level performance. High-level performance is not just a onetime occurrence, it’s ongoing in today’s world. “Developing strong professional relationships with my clients is where great consulting and results starts.” Paul Boston, Founder of Actus Performance Inc.
Over my professional career I have worked with several Fortune 500 companies who required my consulting services to ensure continued growth and profitability. During this time, I developed my professional consulting skills that are required to enable my clients to continuously grow and remain competitive in an every changing marketplace. In 2006 I was witnessing and experiencing a tremendous amount of performance solutions being developed through consulting and training, however, the solutions had very little performance impact on the people, teams and organizations they were intended for. It was from these experiences I developed the concept of a full-service performance consulting firm for my clients. Similar to learning and applying sales and leadership skills, I started to create unique performance solutions, learning, training and coaching programs that gave my clients the knowledge and skills in the area of high-performance. These performance skills are so diverse they can be used across a wide range of industries and professional roles. The exciting thing about applying performance knowledge and skills is the impact and change in performance can be felt and seen immediately. My full service performance solutions are a blend of my elite level athletic experience, my business experience along with my organizational development training background in which I provide my clients with performance solutions and skills they can apply towards their performance challenges. Well performance is in my blood and I think that’s why I have been a competitive triathlete now for over 20 years racing at various distances including Ironman racing (3.8km swim, 180km bike and 42.2km marathon) and most recently racing at the ITU (International Triathlon Union) World Triathlon Championships. I also like to balance these activities by practicing yoga when I can. I value giving back to my communities in many ways so over the last several years I have been on organizing committees for the Run For The Cure, raising money and awareness for breast cancer. I am also a big believer in learning, formal and informal, so I am always participating in professional development events to continuously increase my knowledge in the area of performance psychology, organizational development and learning and development.